The moments of relaxation in a hot stone massage are like no others. The massage movements with polished volcanic stones will take away all of your daily stress. This massage, full of warmth and serenity will transport you to a comfortable cocoon. The hot stones are applied to your body and are combined with other massage techniques for a wholesome relaxation. Only using organic certified oils and natural materials, Under Pressure Massage Barcelona combines relaxing with pure quality. The hot stone massage is an ideal way to conquer the colder days. 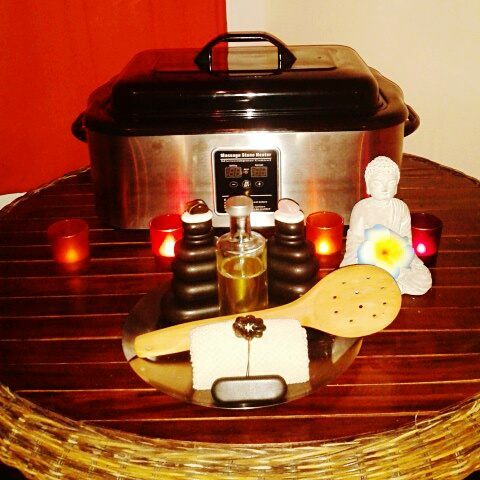 Moreover, many clients mentioned that this is their favourite massage to relax and unwind. 75 minutes of hot stone massage cost 60 euro.